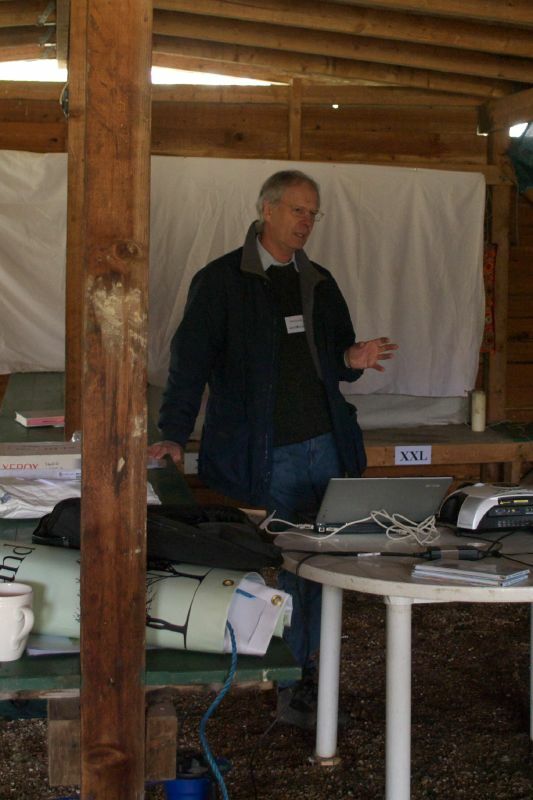 At a recent SWOG meeting, Peter Buckley spoke with us about soil and vegetation. His presentation is also available in this article and some other material which you may wish to use alongside the script from the talk. Peter uses March wood (our location for the meeting) as an example wood for his talk. There is actually a great deal to be learned about your wood without ever setting foot in it. A variety of sources, through the internet and from various publications, can provide old Ordnance Survey maps, aerial photos, geological and soils maps, habitat surveys, agricultural land classifications and conservation designations such as the Ancient Woodland Inventory, Sites of Special Scientific Interest, Scheduled Monuments, etc. The local Biological Records Centre may have wildlife records of species that may occur in your locality. Much of this information is free, although some individual items can be quite expensive. Some websites such as MAGIC (Multi Agency Geographic Information for the Countryside:) and Google Maps/Google Earth are particularly useful. In Kent we are very fortunate to have the Kent Landscape Information System which provides historical maps, aerial photos, habitat surveys, physical environment information (e.g. soils and geology), designated areas and land cover data. Other counties have their own versions, though not always so comprehensive. However, while all of this is fine at a broad scale, there is no substitute for filling in detail through field observation. This is obvious if you are interested piecing together the history of the site from archaeological and ecological evidence, or if you need produce an inventory of timber stocking for a management plan, or wish to consider matching tree species to particular soil types. The aim here is to examine some simple survey techniques, looking particularly at soils and plants as a guide to what might grow best, where. March Wood is a good example of an old woodland site that some years ago was turned into a conifer plantation, as so many others were in the 1950s and 60s. It was bought by the Forestry Commission in 1955 from a private owner, when some areas had already been planted to Douglas fir: but surviving evidence on the ground shows that it was a typical coppice woodland, with oak standards and a hornbeam and chestnut understorey. The wood was sold on to private owners in 1984. The Ordnance Survey edition of 1871-90 shows a deciduous wood with an outline similar to that today, well served with tracks, surrounded by fields that suggest the ‘ghost’ of an even bigger former woodland. There are indications in places of a sinuous, irregular boundary typical of ancient woodland; while other signs are the proximity to the parish boundary, the poor quality of the land making it unsuitable for arable agriculture, and, on the ground, the presence of woodbanks, pollards and a profusion of ancient woodland ‘indicator’ plants such as bluebells and anemones. The aerial photo shows areas of conifer plantation but also an area of coppice with standards which may be an older woodland survival. Geological and soils information can be read directly off a map or from a digital printout. In England and Wales this data is obtained respectively from the British Geological Survey, held by the Natural Environment Research Council, or from the Soil Survey of England and Wales, now the National Soil Resources Institute based at Cranfield University. For soils, the most comprehensive country coverage is at the tiny scale of 1:250,000, based indirectly on geological surveys as well as directly on soil surveys. This shows the locations and names of polygons of different Soil Associations, the soil type or group to which it belongs, brief details of the main site and soil characteristics and typical land usage. For a full description of each Association (there are 99 in SE England) one would need access to the accompanying Bulletin as well: although even here the smallest soil units, the Soil Series, are not fully described. On the other hand, as we will see later, the Association name is shorthand for the quality of the soil which determines how well a particular tree species might grow on it – hence its usefulness when incorporated into decision support systems for forestry. In the case of March Wood, one soil Association (Wickham 1, technically a slowly permeable seasonally waterlogged fine silty or loamy soils over Weald Clay) dominates the whole of the 40ha at the 1:250,000 scale. However, it is clear this does not cover all the subtleties that might be due to local, within-site variations in lithology, topography or drainage. Soil conditions can vary quite widely over distances of a few metres, and boundaries shown on soil maps are always inferred rather than precise. The precision improves with more comprehensive mapping based on field profile descriptions that can show soil units at the Series level. These maps have been produced at larger scale, mainly 1:25,000 or even at 1:10,000, but are few and far between: for example, there are only six such maps at the former scale in Kent, and only one for some counties. So although you would be lucky to find such a map covering your wood, the example given shows that the soil boundaries are more detailed, operating at the scale of individual fields. As a cautionary note, we have only considered here the Soil Survey of England and Wales. In fact there are a whole range of soil classifications around, some international and some national, which show strong affinities to each other. For example there is a separate classification for Scotland and the Forestry Commission has produced its own system which is particularly applicable to the uplands and commercial forestry plantations. At the site level, anyone can carry out a series of simple tests which can help to characterise the soil and hence its suitability for different tree crops. These can be physical tests, for example by looking at the structure of the humus (litter) layer at the surface; by a ‘finger test’ to assess the textural composition of sand, silt and clay; an examination of rooting depth; stoniness, and so on. Simple chemical tests, measuring the level of soil acidity (the pH) or the soil nutrient status, can be carried out using kits available from specialised suppliers and garden centres. The type of humus at the soil surface is a good indicator of fertility: on very acid, infertile soils the litter layer breaks down very slowly, and often forms a thick (>5cm) deposit in recognisable layers representing varying states of decay – known as mor humus. Mull humus, on the other hand, is much thinner and forms over more fertile, less acid soils. Moder humus types are intermediate. Rooting depth is important as it indicates the availability of water and nutrients to the tree, and also whether it is likely to be windfirm. In some soils, rooting is inhibited because of a waterlogged lower profile, where the lack of oxygen kills off fine tree roots. Such soils, like those in March Wood, have gleyed horizons, where the iron compounds in the soil are reduced (deoxygenated), turning them grey or greenish in colour. Where there is seasonal waterlogging, the upper parts of the profile become oxygenated as they dry out during the growing season and the iron compounds change to red and orange colours, causing a characteristic grey/orange mottling at the transition zone. Good soil aeration is clearly, then, an important requirement of a productive growing medium. Stony profiles have a lower percentage of soil-forming particles (<2mm diameter) and therefore hold less water and can be droughty, although they are usually very well aerated. For less stony soils, their textural composition will give some indication of their aeration status: the large particles in sandy soils tend to promote good drainage but hold less available water (to plant roots) per unit volume. In clay soils the small particle sizes (<0.002mm) tend to impede drainage but can hold twice the available water of sands; in silts the available water is still higher, despite the somewhat larger particles. A balanced mixture of these three particle sizes produces loamy soils, forming good growing media in terms of both their aeration and moisture-holding properties. A quick finger test, based on the degree to which different-textured soils cohere when wetted and rolled into a balls, cylinders or finer threads, is described separately: for example clay soils are plasticine-like and can be rolled into thin threads which will withstand being formed into narrow rings without breaking. In sandy soils, attempts to produce a fine thread will simply crumble apart. Using the simple tests described above, soil quality for tree growth can be judged from two standpoints: a) soil fertility, based on pH measures and humus type, and b) soil wetness, based on textural type and evidence of waterlogging and rooting depth observed in soil pits. These twin gradients can be used to classify major soil groups, such as we have seen from the soil maps – examples of dry and infertile types are sandy podzols, while some wet and fertile soils might be classed as calcareous surface-water gleys. Given the classification, we can tentatively begin to assign tree species to each major soil group, as illustrated in the tables. On non-calcareous soils (where the pH is <7), sandy soils and podzols are the least fertile (though often well-drained) and therefore best suited to the most tolerant species, such as birch and pine, whereas the brown earths, in the middle of the fertility-wetness spectrum, can host a wide variety of broadleaves and conifer s. On calcareous soils, the high pH can cause iron-induced chlorosis in conifer foliage which restricts their choice, whereas ash, beech, Norway maple and cherry will thrive in such conditions. In contrast in upland conditions, the low fertility of the soils and more severe climate tends to favour conifers, but only relatively few tolerant broadleaved species. An alternative to carrying out laborious soil surveys and analysis is just to look at the plants growing on the floor of the forest. Everybody knows that heather hates lime and poor drainage, while nettles usually indicate a highly fertile, base-rich soil. Different plant species can have fine or broad site tolerances, like trees and shrubs, and it is the ones with the finer tolerances that are the most useful indicators of site conditions. Plants are particularly effective as they are better than a snapshot, not only indicating growing conditions throughout the year but also consistently over time. Some are the so-called ‘ancient woodland indicator’ species because they have poor colonising ability and spread to new woodland sites very slowly, if at all. On the same fertility-wetness scale as soils, different plant species represent different growing conditions, and have long been used by foresters to guide their choice of tree species. The draw-back of course is that some plant identification is required. It would be unwise to attribute a soil type on the basis of the presence of a single plant species – small numbers or groups of indicators give the best representation. However, you do not have to become a real botanist, as the table shows: only a relatively short list of common plants is required to infer the soil type. Another approach, also using relatively few indicator species, uses mainly trees and shrubs (and some understorey plants) to classify different semi-natural woods into different communities. 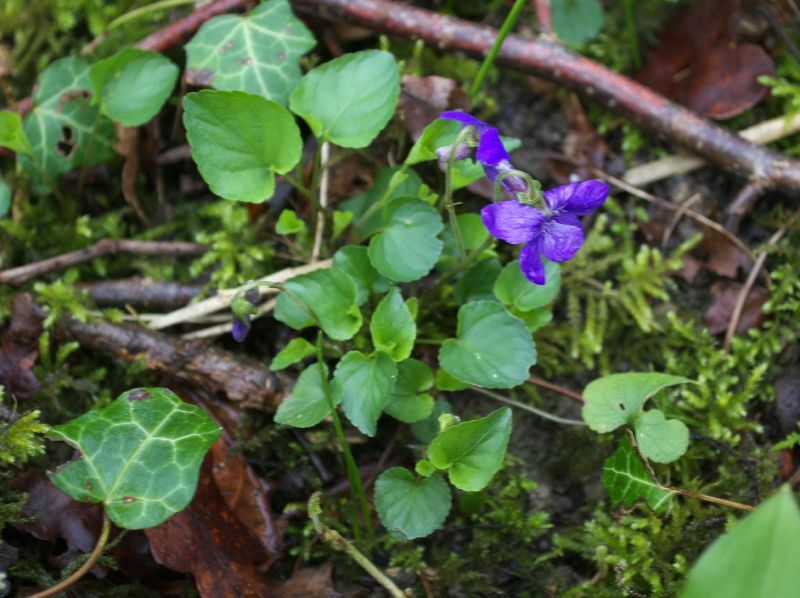 The most popular example is the National vegetation classification types, which recognises about 25 main types of woodland and scrub and which in turn indicate the wide range of climatic and soil conditions in Britain. 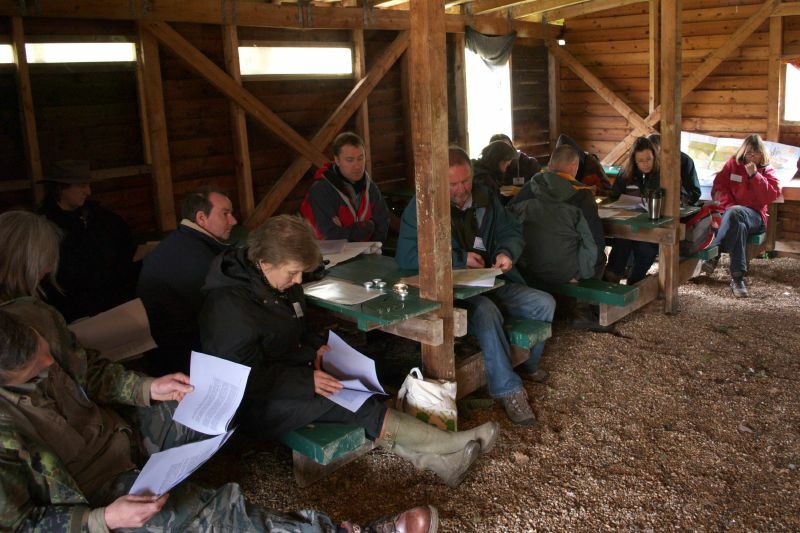 An excellent key and field guide is available on-line from Hall et al (2004) and a simplified key can be obtained from the Forestry Commission as Operations Note 4, an annexe to the English Woodland Grant Scheme. Powerful decision support systems are now being developed to help foresters and woodland owners choose appropriate species for their site, whether for production or nature conservation objectives. An example is the Forestry Commission’s Ecological Site Classification, a piece of software costing about £100: but the manual, which is useful in itself for surveys, can be downloaded for free. Basically, inputs consist of a climate module, based on the National Grid position of the site and its elevation, and the soil type which can either be read from existing soil maps or more accurately inferred from actual field surveys of the type described above. Indicator plant cover in the understorey can also be input as an optional addition in order to strengthen the soil classification. Climate data is based on the last 30 years of meteorological data (supplied) and uses two main indicators: seasonal accumulated temperature (AT) and moisture deficit (MD), plus windiness (Wind) and continentality, a measure of the length and intensity of the growing season (Con). Soil inputs are again based on soil moisture (SMR) and fertility (SNR). The outputs are of three types: tree species suitability, based on a knowledge of how different species perform with respect to climatic and soil limitations; predicted timber yields, again based on compartment records and experience of growth rates on different sites; and finally ‘woodland suitability’, which attributes the most likely National Vegetation Classification community type as if the site were of semi-natural origin. As can be seen from the printout examples, one single limitation (in this case accumulated temperature) precludes better performance in all others. Other points illustrated in the timber yield predictions is that conifers generally grow faster than broadleaves; and that the apparently most suitable species are not necessarily the highest producers on a given site because they have a lower productive range. 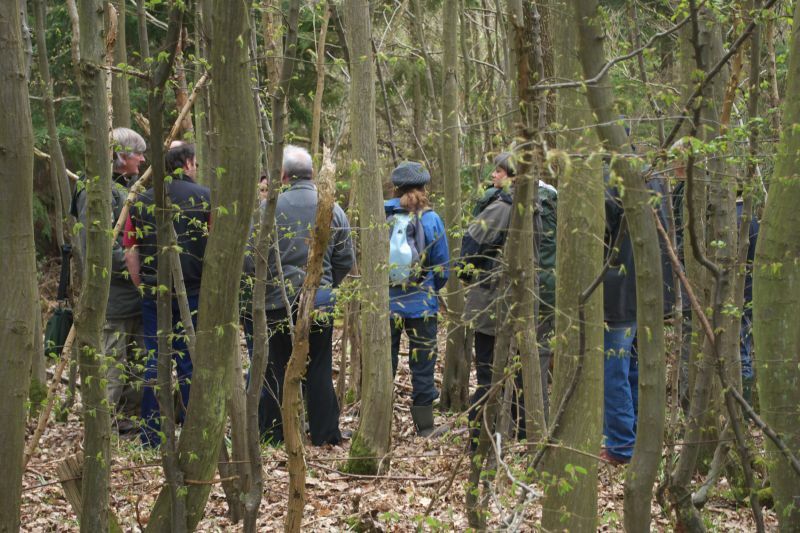 Finally, the ‘woodland suitability’ window lists possible semi-natural mixtures of trees and shrubs that could be used as a recipe for planning new native woodlands, or augmenting the range of species currently found within existing ancient woods. Levels of sophistication in decision support systems are set to improve dramatically. In the next version of the Ecological Site Classification it will be possible not only to assess the suitability of species at present, but in the future, allowing for climate change. The new version is also likely to be available as a Geographic Information System (GIS), allowing forest managers to test spatially the suitability of forest plans, for example the best options for tree species, native woodlands and open space, linked to the requirements of key species and non-woodland communities listed in Biodiversity Action Plans. For the small woodland owner all this may seem a bridge too far, and not even necessary at the level of individual ownership. There is still no real substitute for directly observing and surveying one’s own particular patch, backed up by the increasing quality of free downloads from the ether. Forestry Commission (2001) Ecological Site Classification: a PC-based decision support system for British forests. Forestry Commission, Edinburgh. Pyatt G, Ray D and Fletcher, J (2001) An ecological site classification for forestry in Great Britain. Forestry Commission Bulletin124, Forestry Commission, Edinburgh.